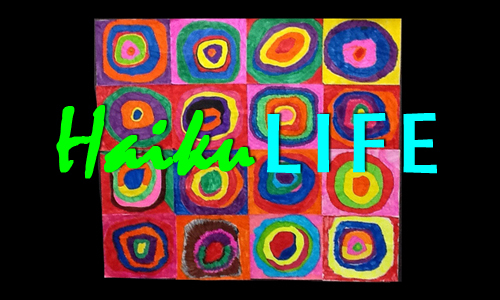 Watch all the films from the HaikuLife Haiku Film Festival. 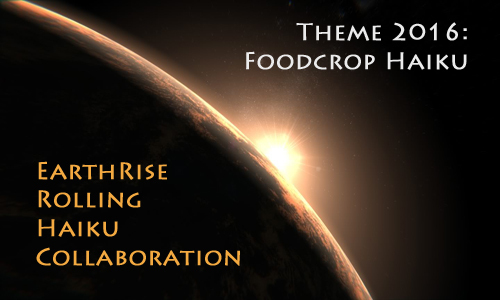 Participate in our EarthRise Rolling Haiku Collaboration. Attend one of our many IHPD Haiku Gatherings. Celebrate and explore haiku, a traditional Japanese form of poetry with its luminous focus on nature. Education Director and haiku poet Jeff Hoagland will provide a brief overview of the haiku tradition before facilitating a ginko or haiku walk on the Watershed Nature Reserve. Adults and teens are welcome regardless of experience! Enjoy the emergence of spring, crafting your own haiku from observations on the trail. Bring a journal to write in and dress for springtime trail conditions — possibly wet or muddy. If you can, bring a favorite haiku book and/or journal to share on the haiku table, and a haiku to share as a warm-up. Light refreshments provided. FREE admission. Please RSVP in advance. This event is sponsored by the Haiku Foundation. Johnny Baranski will be giving a reading at the Mount Angel Abbey Bookstore on Sunday, April 17. Amy Losak will be reading a selection of Sydell Rosenberg’s work at a poetry event organized by the Queens Botanical Garden in the borough of Queens, NYC. This public event is geared to an all-age audience, and may be complemented by a tour of the QBG. 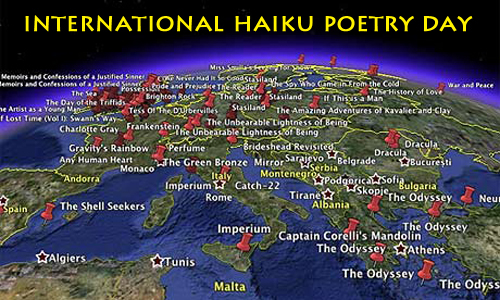 On April 17 from 1 to 5 p.m., the Haiku Poets of Northern California will gather at Fort Mason in San Francisco. Our featured reader will be local San Francisco poet Sharon Pretti, followed by a presentation by Abigail Friedman entitled “Reading Haiku Across Borders”.”\ Abigail is traveling to the Bay Area from Washington DC to be with us. She is the author of The Haiku Apprentice: Memoirs of Writing Poetry in Japan (Stone Bridge Press, 2006), I Wait for the Moon: 100 Haiku of Momoko Kuroda (Stone Bridge Press, 2014) and Street Chatter Fading(Larkspur Press, 2015). This and all of our events are free and open to the public. We hope to see you there! Haiku Northwest will stage a Haiku Day at the Seattle Japanese Garden on April 17 in celebration of International Haiku Writing Day. Here’s the info and schedule. Should be fun, if the weather cooperates! 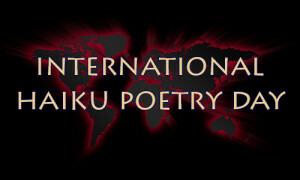 The Texoma Haiku Society April Meeting (to be held at the Midway Mall Food Court, 4800 Texoma Parkway, Sherman, Texas) celebrates International Haiku Poetry Day. A Bonsai Verse Gallery will run throughout, featuring work not only by the Japanese masters Basho, Issa, Buson and Shiki, but classic American Poets Ezra Pound, Amy Lowell, Gary Snyder, Jack Kerouac, Richard Wright and James W. Hackett along with contemporary haijin Nick Virgilio, Elizabeth Searle Lamb, Lee Gurga, Christopher Herold, Gary Hotham, Jim Kacian, Michael McClintock, Marlene Mountain, Marian Olson, Alan Pizzarelli, Alexis Rotella, John Stevenson, George Swede, vincent tripi, Cor van den Heuvel, Stanford M. Forrester, Michael Dylan Welch, and Ruth Yarrow etc. The Northwest Louisiana Haiku Society will host an event for International Haiku Poetry Day at the Broadmoor Branch of Shreve Memorial Library on April 17 from 2:00 – 4:00 p.m. The Swedish Haiku Society will have it’s annual meeting and lecture with the chairman of the society, former ambassador of Sweden to Japan Lars Vargö, in Stockholm on April 17. For more information please visit https://www.haiku-shs.org or https://www.facebook.com/svenskahaikusallskapet. West Burke librarian Judith Hishikawa will conduct the 2nd Annual Haiku Workshop at the West Burke Public Library [123 VT RT 5A, West Burke VT 05871] on April 24 at 1:00PM. This year’s theme is “Brevity: Vermont Mind – Haiku Mind – Zen Mind”. “We will discuss the concepts of Oneness, Intimacy, Emptiness, Uniqueness, and Naturalness using examples from the traditional masters, and classic Vermont conversations.” Please bring haiku that you are working on and your own writing materials. Coffee and refreshments are available nearby. We will go on an inspirational walk. Be a part of it — celebrate International Haiku Poetry Day, April 17, 2016.